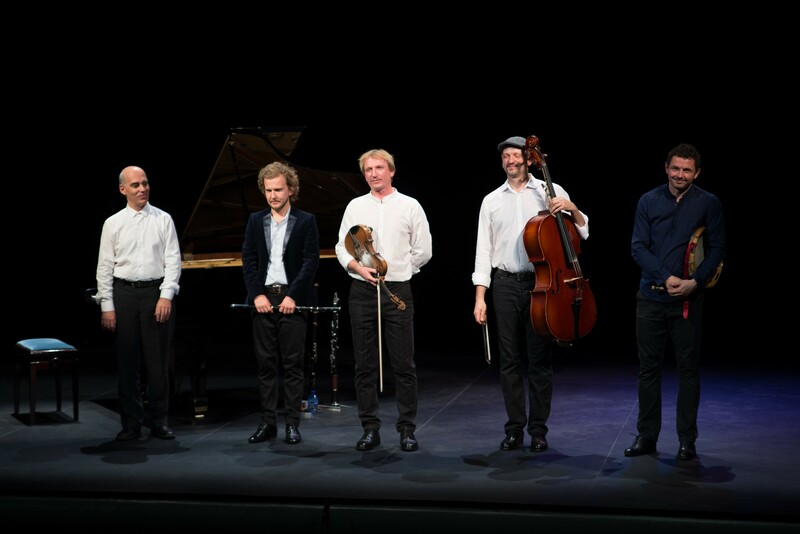 From left to right, Miguel Ituarte, Michał Żak, Janusz Prusinowski, Piotr Zgorzelski, Piotr Piszczatowski, at the premier concert in Real Coliseo Carlos III in San Lorenzo de El Escorial (Madrid), 29th of October of 2016. Janusz Prusinowski Kompania is the main representative of Polish traditional music, appreciated internationally both by the institutions and the public, in his facet of artist as much as in his activity in cultural management, ideologue and promotor of cultural initiatives that make visible and highlight the value of traditional rural Polish music and its worth for the current and urban generations. In example, Janusz is founder and promotor of contexts for culture, through his initiative of the Wszystkie Mazurki Świata, in Warsaw, that he founded and of which he is the artistic director, where he creates moments for the meeting between the old rural masters and the new generations of musicians interested in traditional music. After twenty years working in this area, during the last years Janusz Prusinowski has achieve multiple acknowledgements and tours internationally on a regular basis with his Kompania. 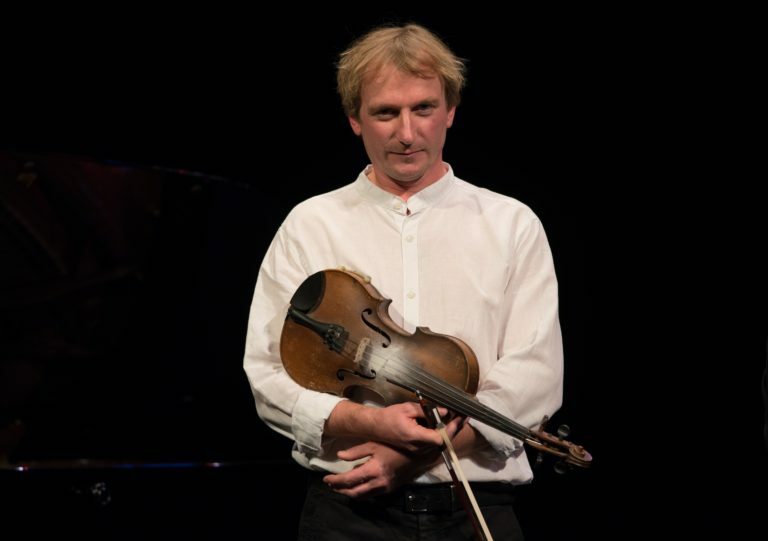 Outside the borders of their own countries, Janusz Prusinowski Kompania has performed in most of Europe, has given concerts in Canada, USA and Asia. At the end of 2014 Janusz Prusinowski received the Gloria Artis bronze Medal, from the Ministery of Culture and National Heritage, that acknowledges a life's career devoted to the recovery, awareness and appreciation of the legacy of traditional Polish music, to the research of the old rural masters, as well as his initiative of the above-mentioned festival. In May 2015 he receives the Doroczna Nagroda Ministra Kultury in the category of traditional culture. Miguel Ituarte was born in Getxo (Basque Country). He was musically trained at the conservatories of Bilbao, Madrid and Amsterdam. He studied with Isabel Picaza, Juan Carlos Zubeldia, Almudena Cano and Jan Wijn. He became familiar with the clavier thanks to Anneke Uittenbosch and ancient Iberian organs at the International Academy of Tierra de Campos created by Francis Chapelet. Dimitri Bashkirov, Maria João Pires, Paul Badura-Skoda and Maria Curcio provided him teachings and advice. Mr. Ituarte has received, among others, the 1st prize at “Jaén”, “Ferrol” and “Fundación Guerrero” international contests as well numerous awards for his performances of Spanish music (i.e. “Rosa Sabater”, “Manuel de Falla” and Fundación Hazen). He was finalist at the Santander International Contest in 1995. 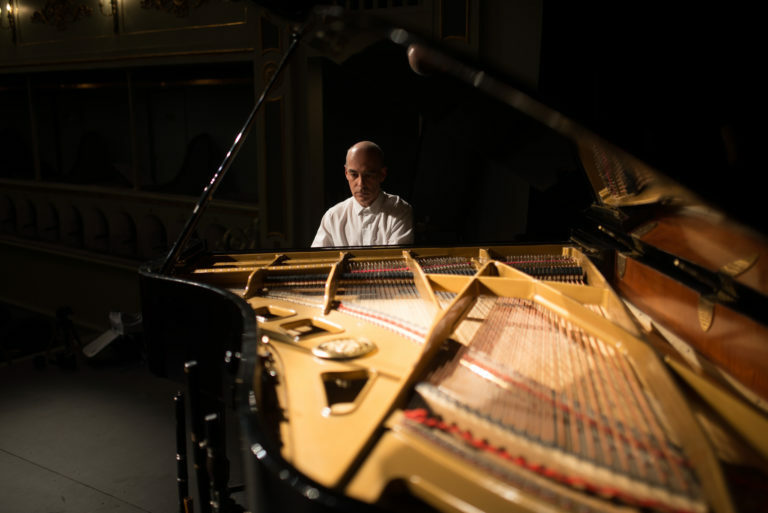 In his programs concert he has often included some of the greatest works of keyboard instruments repertoire, ranging from Antonio de Cabezón to premieres of contemporary music. The composers José María Sánchez Verdú, Zuriñe Gerenabarrena Fernández, José Zárate, Jesús Rueda and Gustavo Díaz-Jerez have dedicated piano works to Mr. Ituarte. He recently worked on the recording of "The Well-Tempered Clavier" by Bach and presented the complete series of Beethoven sonatas. He has performed in recitals in European countries and with orchestras such as the Concertgebouw Chamber of Amsterdam, Royal Philharmonic of London, Gulbenkian and many of Spain and South America ones. In January 2000 he opened the first Great Pianists Series at Auditori de Barcelona with "Iberia" by Isaac Albéniz. About chamber music, he has performed with the Takaks and Ortys quartets; currently he works with the violinist Manuel Guillén and the soprano Cecilia Lavilla Berganza. As a member of the trio "Triálogoes" (with Manuel Guillén and Ángel Luis Quintana) he recorded the complete piano trios by Beethoven for the Spanish TV Channel Canal Digital. He has participated in the album “Música de cámara actual” by the label Verso, performing with accordionist Iñaki Alberdi works by Jesús Torres and Gabriel Erkoreka. The label Columna Música has released his version of Concert for piano and orchestra by Joan Guinjoan, with the Barcelona Symphony Orchestra and Ernest Martinez Izquierdo. He teaches piano at Musikene (Higher School of Music of the Basque Country) since its creation in 2001.